Credit:This Dolly Couture dress was Hillary's favorite of the inspiration photos. Credit: this gown by Ouma on Etsy was the length and fullness Hillary liked best. 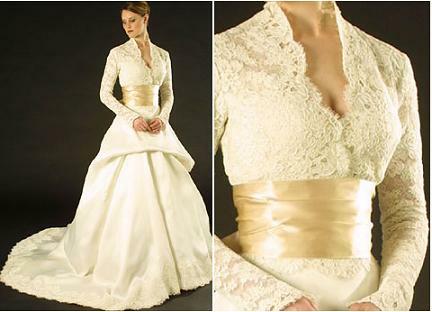 Hillary liked the springtime feel of this gown by Christos. Credit: This Monique Lhullier gown inspired our choice for Hillary's jacket, and helped shape our vision overall. The newest photo was vastly different from the others, but it was just what I needed to bring the various ideas into focus. “Have you ever seen Grace Kelly’s wedding dress?” I asked, and I sent her some photos. 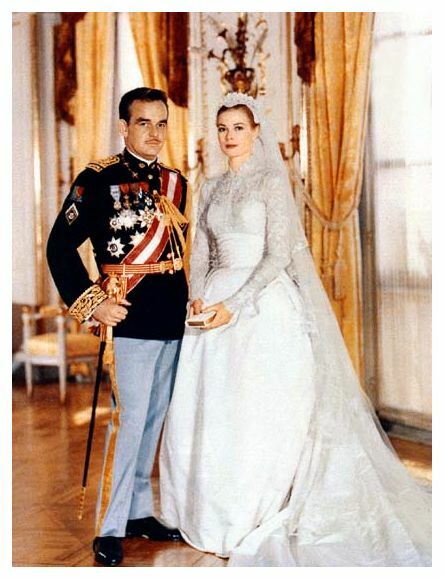 Grace Kelly, on her wedding day, with the Prince of Monaco. Her stunning gown was designed by Helen Rose and constructed for her by MGM Studios. We had some fantastic inspiration to draw on, and we were both excited to fine tune the design. Up next: Hillary’s design appointment!